Photos: Mario Sorrenti, Ck one. 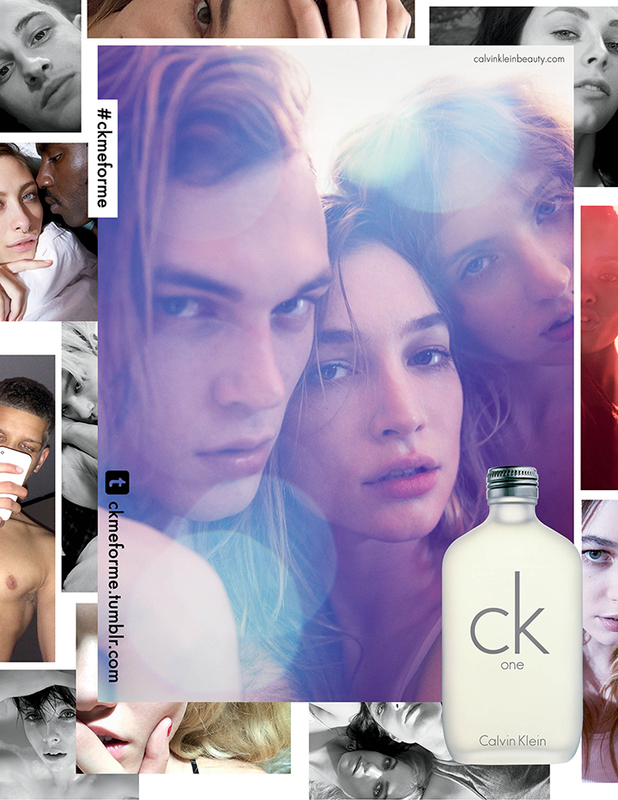 Ck one fragrance campaign celebrates the 20th anniversary of the iconic, original unisex fragrance, while reflecting the cultural significance of individuality, self-expression and digital identity. The campaign was shot on location in New York by famed photographer Mario Sorrenti – who photographed the iconic images of Kate Moss for the OBSESSION Calvin Klein campaigns – and produced under the direction of Calvin Klein, Inc.’s in-house ad agency and studio and creative agency Mother New York. The new ck one campaign stays true to the brand’s heritage of featuring emerging talent with a diverse cast of models, artists and musicians. The talent includes singer/songwriter Dev Hynes and his girlfriend, singer Samantha Urbani; sister musicians Say Lou Lou; electro-pop singer Kelela; electronic artist and producer Evian Christ; Korean pop star Taeyang; singer and actress Soko; artist Ally Marzella; fashion photographer Michael Bailey Gates; photographer and fashion designer Petra Collins; and models Edie Campbell, Stephan James, Chuck, Ali Michael, Jing Wen, Justin Gerard, Lucky Blue, Maggie Laine, Marcel Castenmiller and Victor Correia. Music has always been a key component of past ck one advertising campaigns and initiatives, and that tradition is continued in the new campaign. In addition to counting eight up-and-coming musicians as a part of the new cast, the TV spot features an exclusive demo produced by electronic artist and producer Evian Christ. 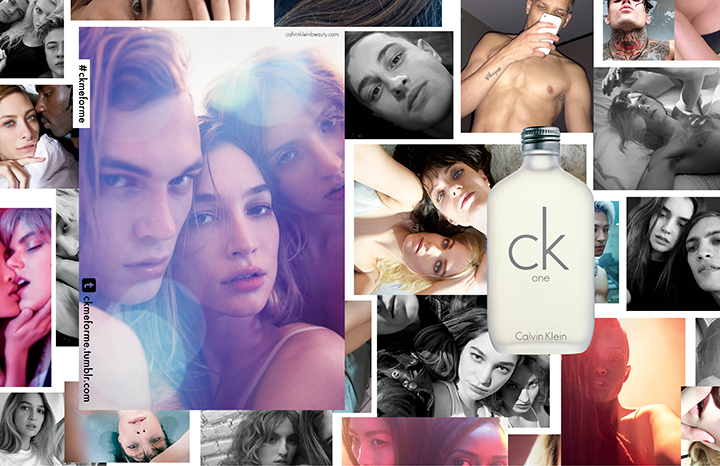 Shot from the perspective of a camera phone, the new ck one advertising campaign illustrates the modern practice of using digital identities to connect with others and to convey individuality. The television campaign makes a private world public by following the evolving stories of the cast as they find ways to express themselves digitally. The print campaign features the outcome of this self-exploration through a collage of self-portraits. The digital strategy for this launch will focus on global Snapchat – the first time the brand has used this platform – and Tumblr accounts, through which consumers will discover the ck one campaign talent via content that features a journey of self-exploration from the cast on set of the advertising campaign shoot. On Tumblr, a dedicated blog will live at ckmeforme.tumblr.com where hundreds of digital assets from the shoot will be aggregated with the #ckmeforme hash tag alongside discovered content from other communities in line with the ck one point of view.